* charming detached master-suite studio with canopied king-bed and two nightstands. * writing desk with wi-fi. 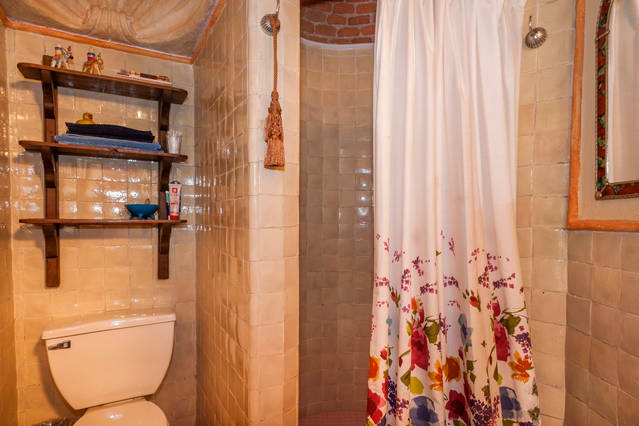 * private bath with domed walk-in shower. * mini-fridge, coffee-maker, microwave, blender, toaster, space heater, circulating fan. * private adjacent patio with colorful hammock, outdoor dining table and built-in banquette surrounded by lush vegetation. 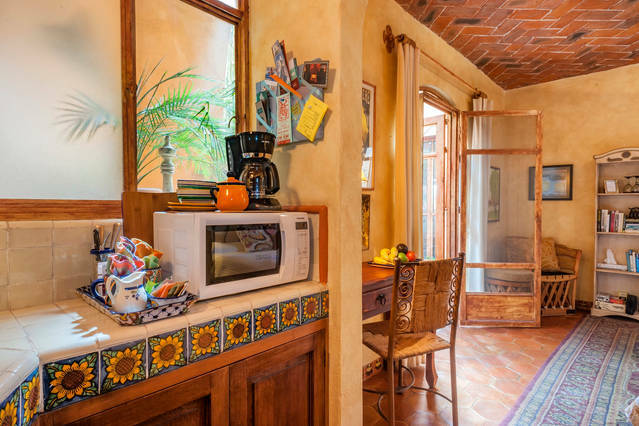 * access to a lovely shared lower terrace with lounge chairs, hammock and charming garden. Great space for your siesta - or to schedule your private yoga classes! * property features an onsite studio which converts to a 28 seat theater for classes, workshops, performances and more. * close enough to centro (15-20 minute walk) yet far enough to avoid the noise! For bookings, please use the airbnb link here. "You will fall in love with it..."
The place is as charming and welcoming as it could possibly be. You will want for nothing as your hosts have thought of every detail. 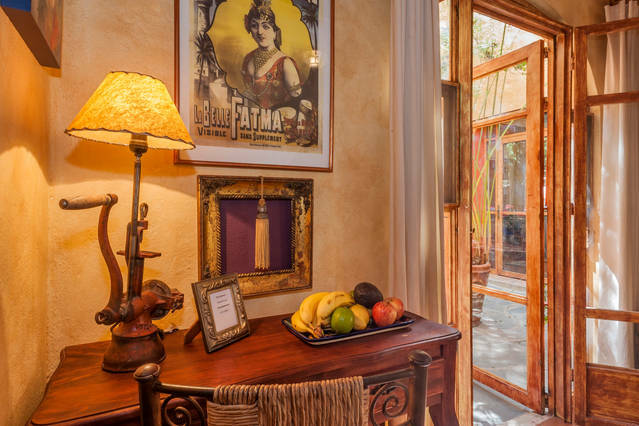 Book your stay at Casa de La Paz—you will fall in love with it. We loved our long weekend here and will definitely be back! 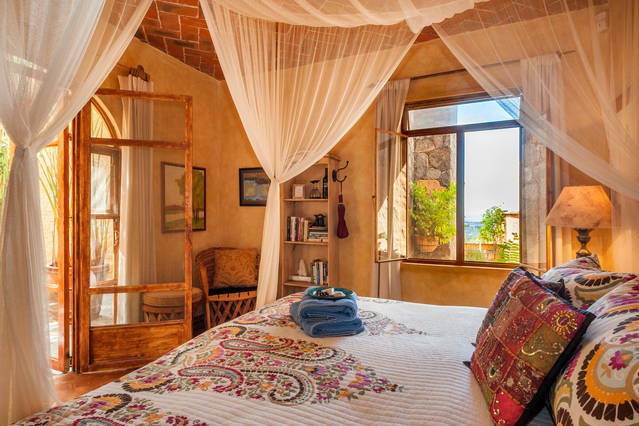 "We felt super comfortable and at home..."
Eli and Joseph made our stay in San Miguel de Allende a memorable one!! They were amazing hosts and their house is beautiful! We felt super comfortable and at home. Highly recommended!! 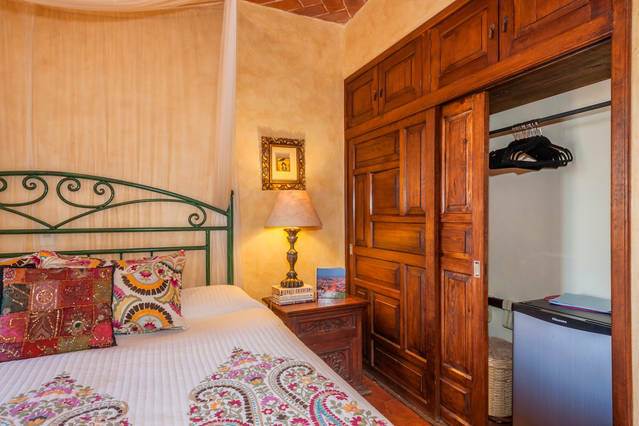 The private detached Casita is a decorators showplace with every detail in place. 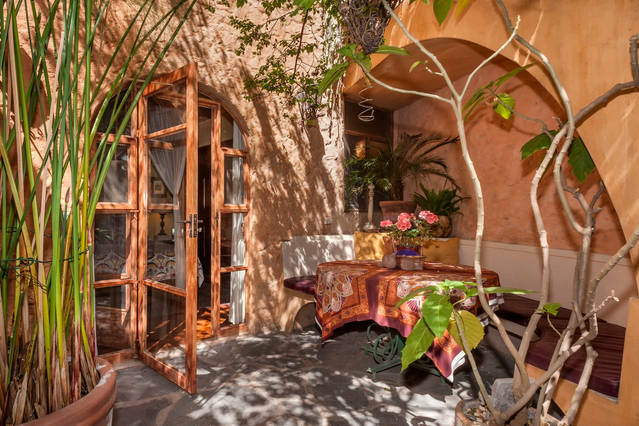 This secluded gem is safely contained within an old world hillside compound with city views. I truly enjoyed the authentic San Miguel experience and visiting with the exceptional hosts Eli & Joseph who know to treat a guest. Reserve your next vacation here.